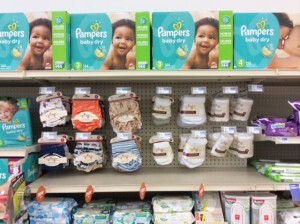 It’s so exciting to see CuteyBaby in more and more Hy-Vee stores across Iowa and beyond! I was in Des Moines this week talking with some of the store directors – great people – and Des Moines is such a neat city. At 70 degrees and sunny (in March!? ), it sure was a pleasure to walk around the streets of downtown Des Moines and get some fresh Iowa air. 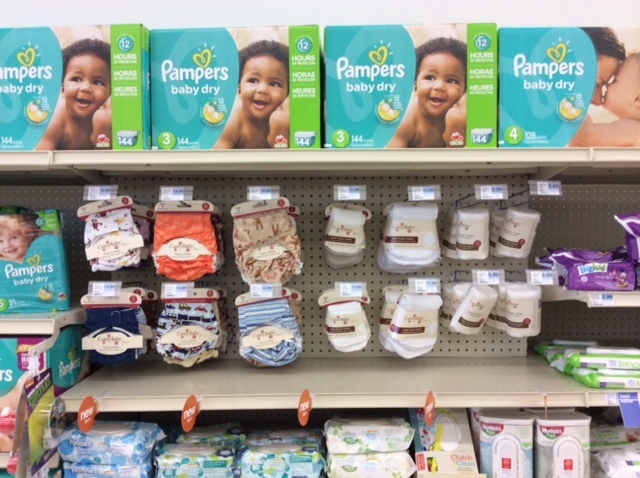 Thanks to Hy-Vee stores for bringing in our That’s a Wrap cloth diapering system! And thanks to all the moms who are trying and buying the product at Hy-Vee. By the way, if your local Hy-Vee store doesn’t have CuteyBaby products in the baby section, be sure to ask the manager about it. Each store decides if they will carry CuteyBaby, and your inquiry makes a difference! Thanks to all the cloth diapering moms for your support!